Discussion in 'Pedal Effects Gear Emporium Archive' started by southtone, Apr 18, 2016. Couple of pedals for sale. Shoot me a PM if you are interested. Thanks for looking! First up is a King of Tone high gain red side. The KOT is in great condition with velcro on the back. I am the original owner. I am including the original box and swag. The AM sticker is a little "crinkly" but still ok and usable. SOLD shipped and paypal'd CONUS. Good deal on the ARC Effects Klone. I love mine. 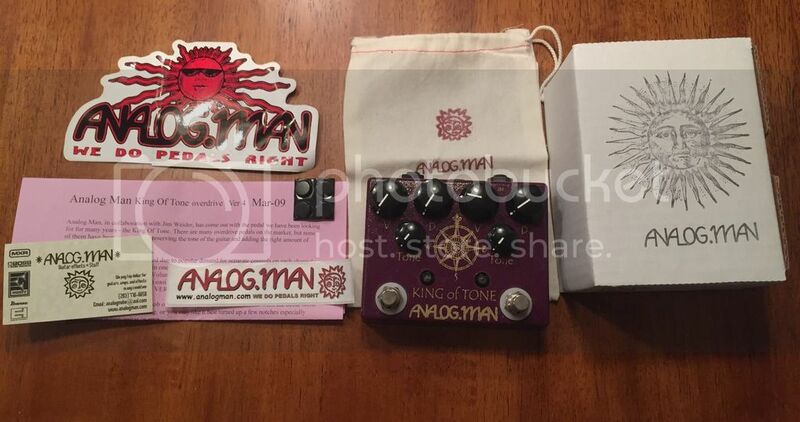 Great pedal, arguably the best of all the Klon clones. Thanks. Still available for now.